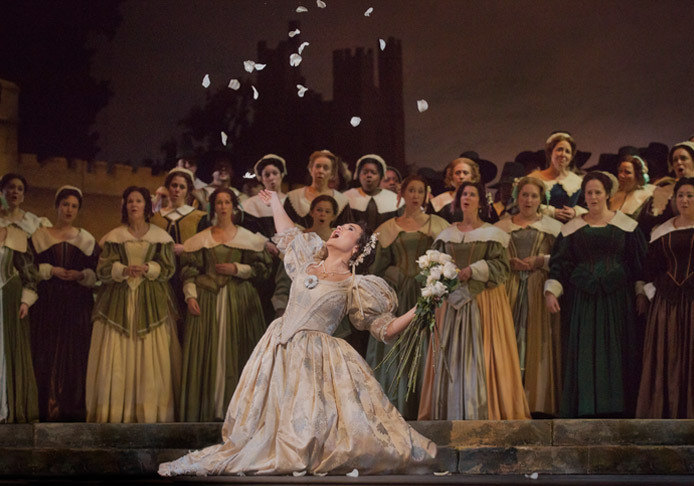 The art of bel canto will take center stage in Bellini’s lyrical jewel. 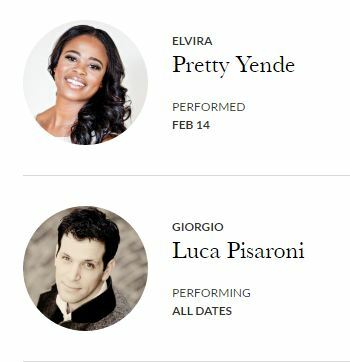 The electrifying Diana Damrau is Elvira, gripped by madness and love; Javier Camarena, a sensation in his recent appearances in other bel canto works, takes on the role of her beloved and heroic Arturo; and Alexey Markov and Luca Pisaroni are the soldiers caught up in the English Civil War. 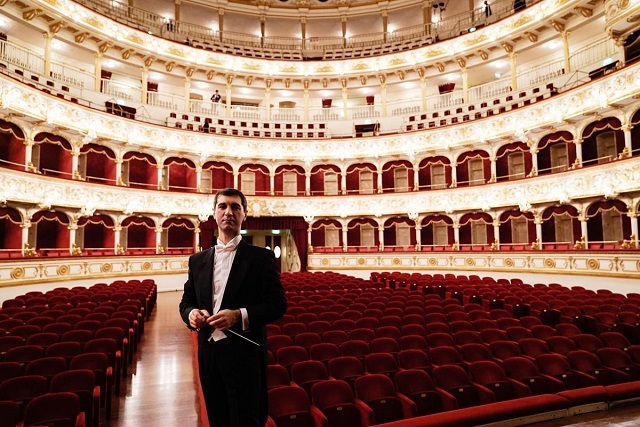 Maurizio Benini conducts. World premiere: Théâtre Italien, Paris, 1835. 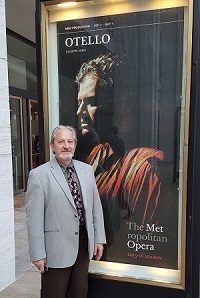 I Puritani was the final work from Vincenzo Bellini, the great Sicilian exponent of the bel canto style of opera. 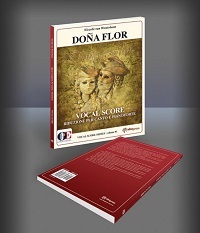 It was written specifically for the talents of four of the best singers of its day, and the opera’s success depends almost entirely on the vocal abilities (and artistic sensibilities) of the performers. In our time, Maria Callas was catapulted to international stardom by a series of performances in I Puritani in 1949 at Venice’s La Fenice. 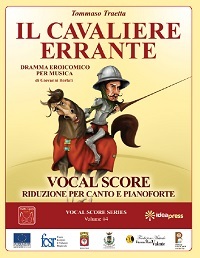 The opera is set in the English Civil War of Puritans (“Roundheads”) versus Royalists (“Cavaliers”). 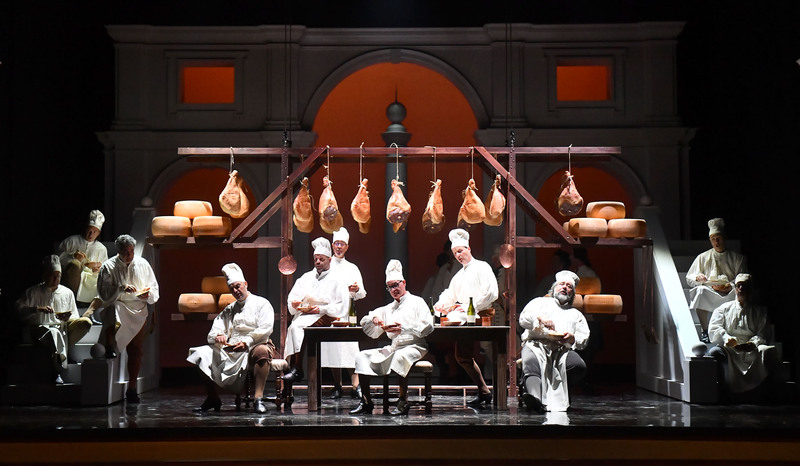 While taking many liberties with history, it is set against a background that was a universal idea and very familiar to Italians in Bellini’s time. 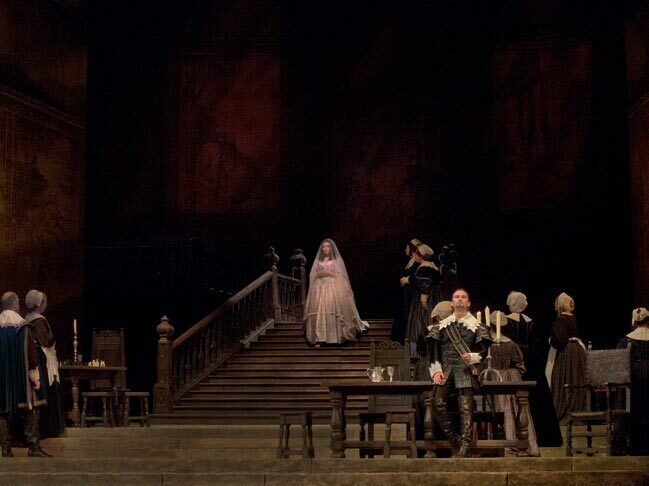 The bel canto composers explored with powerful results the relationship of civil strife and individual madness: Donizetti’s Lucia di Lammermoor works with a similar, if slightly less explicit, format. Vincenzo Bellini (1801–1835) possessed an extraordinary gift for melody and a thorough understanding of the human voice. His premature death—just as he was achieving international success and expanding in new musical directions—is one of the most unfortunate in the history of music. The librettist, Count Carlo Pepoli (1796–1881), was an Italian political exile living among the seething expatriate circles of Paris. World premiere: Théâtre Italien, Paris, 1835. 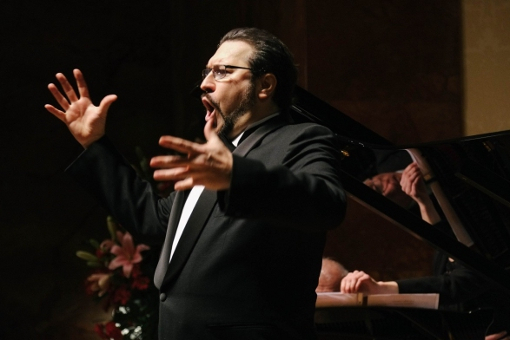 The art of bel canto will take center stage in Bellini’s lyrical jewel. 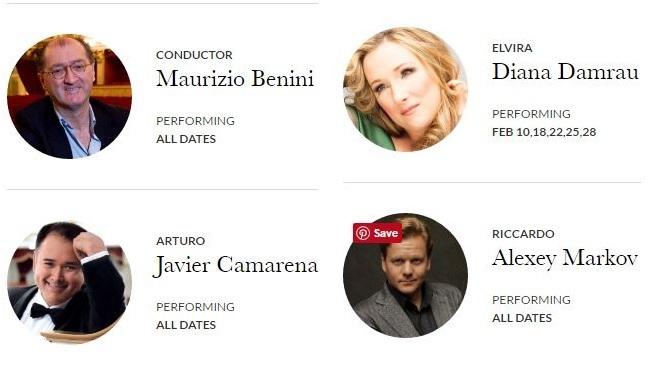 The electrifying Diana Damrau is Elvira, gripped by madness and love; Javier Camarena, asensation in his recent appearances in other bel canto works, takes on the role of her beloved and heroic Arturo; and Alexey Markov and Luca Pisaroni are the soldiers caught up in the English Civil War. 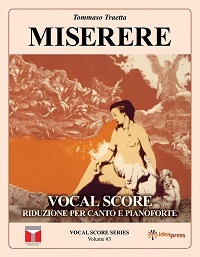 Maurizio Benini conducts. England, around 1650. Plymouth, a Puritan stronghold, is threatened by siege from the Royalist troops. Distant voices herald the wedding day of Elvira, daughter of Gualtiero, the fortress’s commander. Riccardo enters lamenting that his promised bride, Elvira, loves another man—a Stuart partisan. 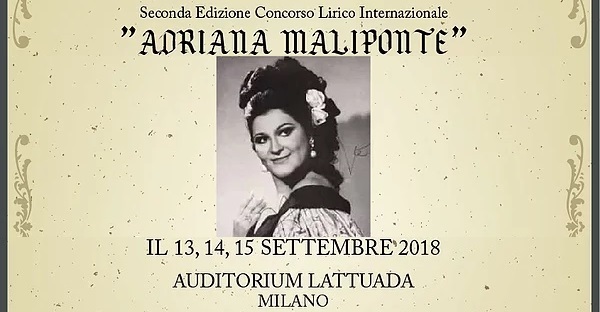 Her father will not force her to marry against her will, it seems, so Riccardo’s friend Sir Bruno urges him to devote his life to leading the parliamentary forces. 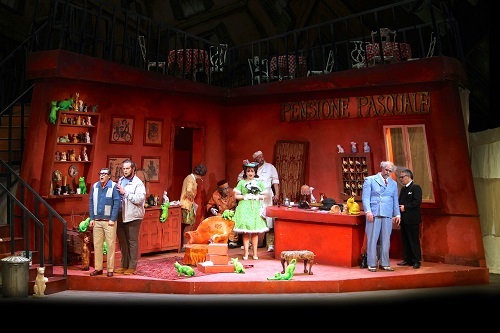 Elvira tells her uncle, Giorgio, that she would rather die than marry Riccardo. Her uncle reassures her that he has persuaded her father to let her marry her lover, Arturo. Although Arturo is a Royalist, he is heralded as he approaches the castle. Everyone gathers for the wedding celebration and Arturo greets his bride. He learns that King Charles’s widow, Queen Enrichetta, is a prisoner in the castle and soon to be taken to trial in London. 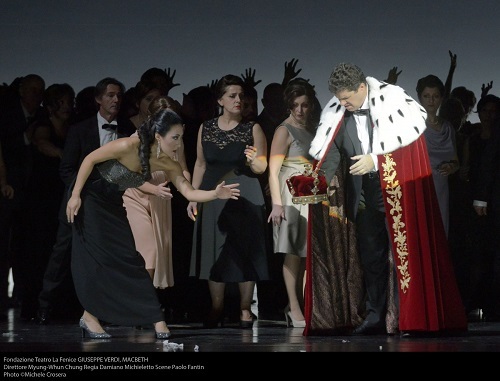 Alone with the queen, Arturo offers to save her even if it means his death. Elvira returns with the bridal veil and capriciously places it over Enrichetta’s head. When he is alone again with the queen, Arturo explains that the veil will provide the perfect disguise for escape from the castle. As they are about to leave, Riccardo stops them, determined to kill his rival. Enrichetta separates them and reveals her identity. Riccardo lets them get away, knowing this will ruin Arturo. The others return for the wedding, and Riccardo tells of Arturo’s escape with Enrichetta. Soldiers rush off in pursuit. Elvira, believing herself betrayed, is overcome by madness. The townsfolk mourn Elvira’s mental breakdown. Giorgio explains that she continues to long for Arturo. 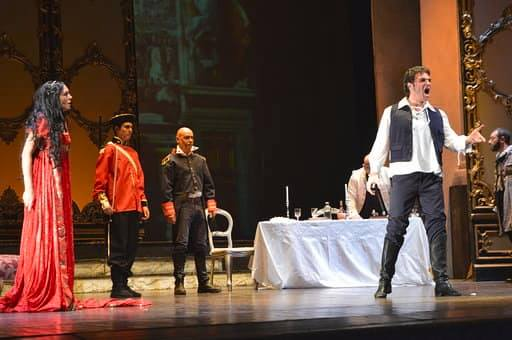 Riccardo arrives to announce that Arturo has been condemned to death by Parliament. The Puritans depart. Elvira wanders in, reliving her happy past. In her madness, she mistakes Riccardo for Arturo and dreams of her wedding. When she leaves, Giorgio tries to convince Riccardo to save Arturo. At first indignant, Riccardo is finally moved to help Elvira, and the two men unite in patriotism: if Arturo returns as a friend, he shall live—if as an armed enemy, he shall die. In Elvira’s garden, Arturo reveals that love for her has brought him back to Plymouth. He overhears her sing their old love song and is torn between his affection and his loyalty to the Stuarts. Elvira herself appears and Arturo reassures her that she is his only love. Soldiers rush in to arrest Arturo. Just then, a diplomat arrives with the news of the Royalists’ final defeat and a general amnesty for all the offenders. The shock of this news restores Elvira’s senses, and all rejoice in the peace as Elvira and Arturo embrace their new happiness.